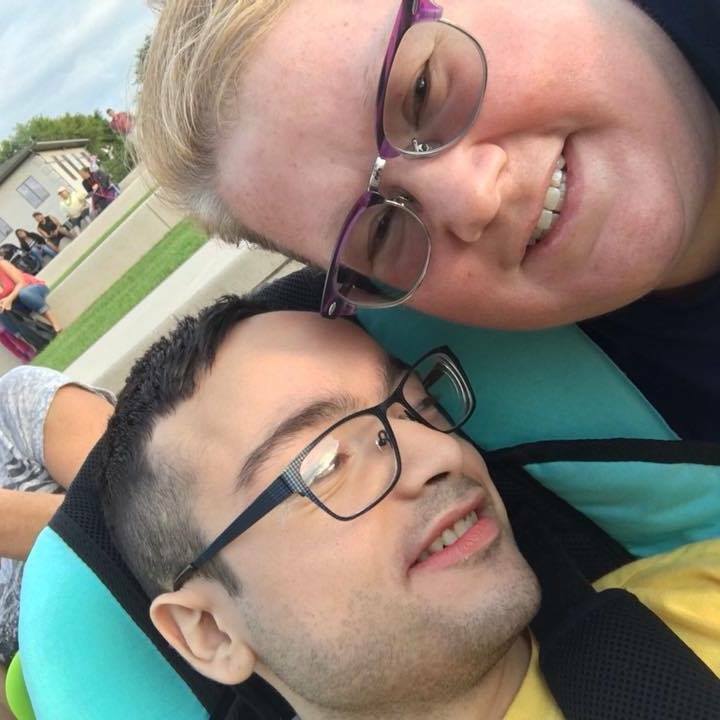 Danette Rodriguez has written about her beloved son, Tristan, and his impact on their family’s life. Ever since I was a little girl I had always, always wanted to be a mom. That dream came true when Tristan was born. He had a rough start landing in the NICU for the first two weeks of his life. When we finally got him home we were so excited for our journey as a family to begin. We had no idea what was up around the corner for years to come. At a month old Tristan ended up getting his first Life Flight out of our hometown to Minneapolis Children’s. That was the first of many moments that would shake us to our core. Tristan was on a ventilator for 3 weeks teetering on the brink of death. He made it through that rough patch just to end up back in and out of the hospital at least a half dozen times for pneumonias or surgeries in his first year. Our hearts were broken…why him, why us?! This became our way of life, in and out of the hospital and running to doctor appointments. We were told Tristan had Cerebral Palsy for years because the doctors had no other way to explain it. At three years old that’s when we started genetic testing on Tristan for different syndromes that went on for years until 2014 when whole exome sequencing came along. It March 2015 we finally got our answer….Bohring-Opitz Syndrome. Tristan’s illnesses affected everything for us from our marriage, our finances, to our way of life as a family. There were moments of sadness, happiness, anger, depression and exhaustion just to name a few. From buying or renting a house, to the vehicles we had, to the vacations we took, it all revolved around how it would work for Tristan and how it would work for us to care for him. We were also blessed in many ways for Tristan being in our lives. He showed us that even though he never said a word he sure could draw people in with his gentle personality, his smile, his laugh and the facial expressions he made. Tristan taught us that even though life takes you down a different path, those paths, while difficult are filled with more love, more joy and more strength than one could ever imagine.